Because most people don’t experience symptoms, many don’t know they have it. And over time, hep C can lead to scarring of the liver (also called cirrhosis). That’s why getting tested is so important. 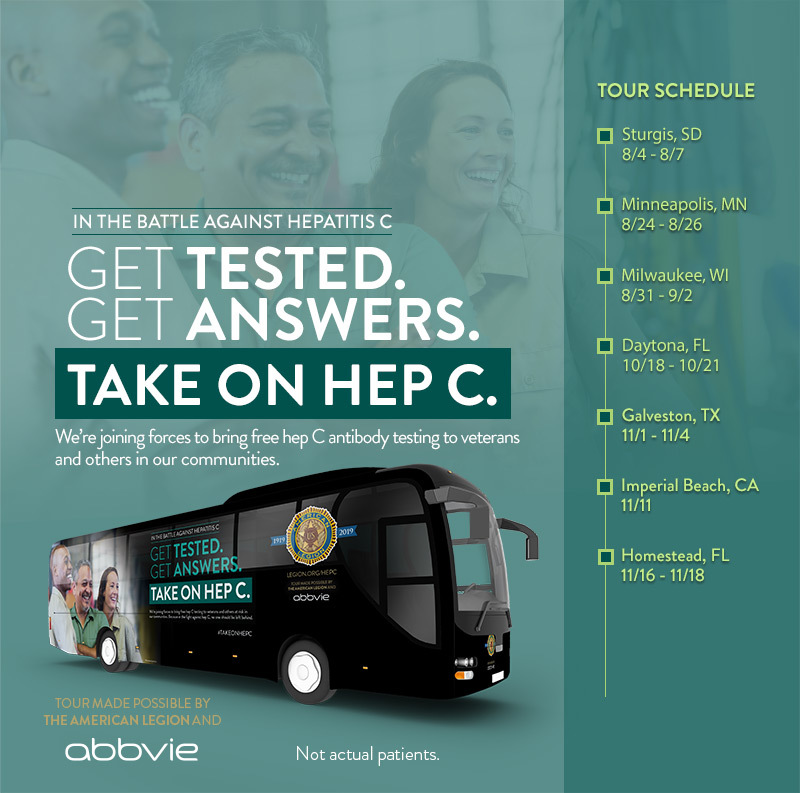 The American Legion is joining forces with AbbVie, a global biopharmaceutical company, to launch TAKE ON HEP C, a nationwide movement to bring free hep C antibody testing to veterans and their communities. This is a fight we can win because hep C can be cured—meaning the hep C virus isn't detectable in the blood 3 months after treatment ends. So let's all get tested and get on with it. Because in the battle against hep C, no one should be left behind. * U.S. Department of Veterans Affairs. Veterans Health Administration. Hepatitis C: information for veterans 2017. https://www.hepatitis.va.gov/pdf/Hepatitis-C-Factsheet-Veterans.pdf. Accessed July 2, 2018.